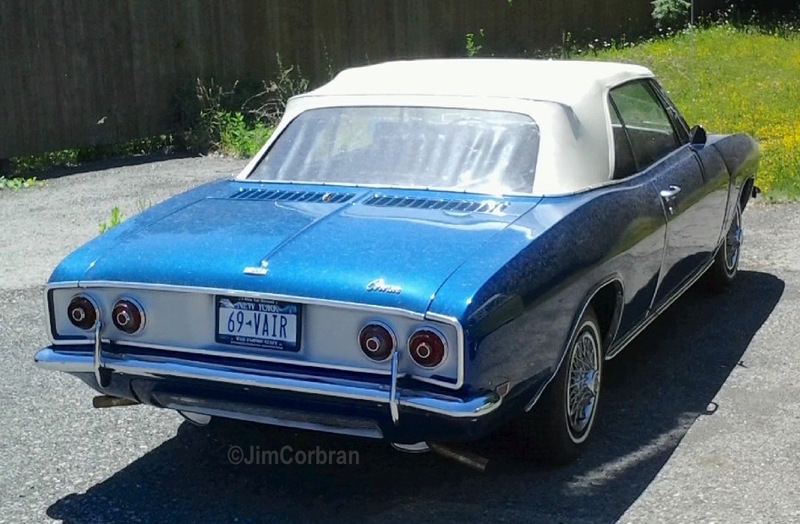 The registration sticker tells me this is a 1969 Chevrolet Corvair Monza, which was the only ragtop available in this, the Corvair’s final year of production. However, that rear panel treatment sure looks like that of the higher-priced Corsa model of 1965-66, which of course wouldn’t have a Monza emblem on the front fender, or federally-mandated side-marker lights (which first appeared on the ‘68s). Looks like maybe somebody in Youngstown got creative with the silver paint.